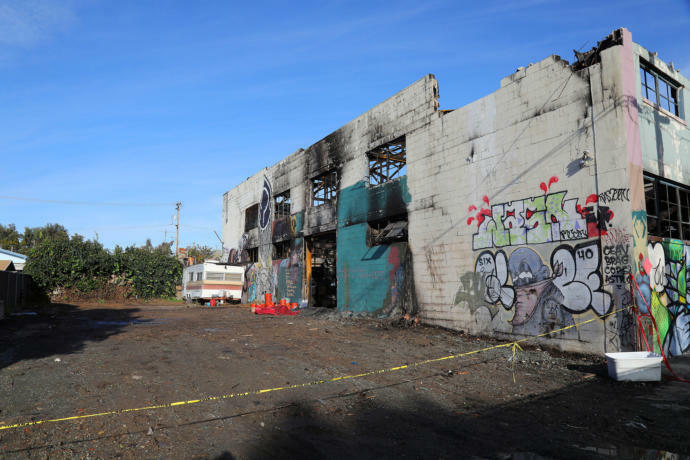 What went wrong at the Oakland “Ghost Ship” warehouse? What makes the Oakland “Ghost Ship” fire most tragic was the preventable nature of everything that occurred. In the days that followed the fire, news trickled out regarding the tenancy and landlord situation in place. Could the loss of life have been avoided? Indeed it could have. In all formal leases there are very clear responsibilities that set out the nature of the lease relationship between landlord and tenant. They each covenant to carry out certain actions and in doing so find themselves in default of the agreement if not met. One of the downfalls of the leasing relationship that existed at the Oakland warehouse was that the tenant did not properly communicate to the landlord what was happening inside the premises. The main tenant was subletting space to individuals of whom the landlord had no immediate knowledge of. In this sublet scenario, the main tenant became a sublandlord and therefore was responsible to meeting the needs of tenants in the space. Most news sources indicate that the owner was being hoodwinked by the tenant when the inspections took place to disguise the situation. Fire and health codes vary between municipalities so I won’t touch on what exactly was required in the space. There are however a few warning signs that the building was not being operated well by the landlord or tenant. The municipality in this case, Oakland, did seem to have the building on its radar for a multitude of violations. The occupants were utilizing the space for a variety of uses which many neighbours deemed unsafe. The media has immediately targeted the municipal office for not acting sooner. But in truth, there is often a long road to remedying ordinances and the municipality likely had their hands tied in due process. Proper lack of permits for the uses taking place on the property are not something that can easily be enforced. In Saskatoon, for example, there is no apparent consequence outside of strongly worded letters and perhaps turning down business licenses. This is where the landlord’s culpability starts to take shape. Surely they were alerted by authorities to the uses taking place. They had a responsibility to investigate more thoroughly themselves or terminate the head lease with the apparently, in default tenancy. Regular contact with tenants is vital to ensuring the continued value of an investment property. Barry and I had an incident with a tenant a few years ago where a roof leak wasn’t property disclosed to the landlord. The tenant noticed the roof leaking but by the time the landlord was informed, it had caused considerable damage. It appeared that the Tenant waited until a renewal to use the leak as a leverage tool, which backfired. Had the landlord been informed earlier, the roof leak could have been addressed easily. Delaying the work only caused further cost and disruption to the tenancy and landlord. A leaking roof, however, is a far cry from the deaths in Oakland. This incident is an extreme example of leasing gone wrong. From an inattentive landlord to willfully negligent tenants, there was a perfect storm that unfortunately cannot be reversed.